Anyone who knows me can tell you that I love craft beer, and love organizing things (Let's make a list!!) This along with pretty much just being in the right place at the right time, gave me the opportunity to be a part of a great organization, the Ottawa Chapter of Barley's Angels. 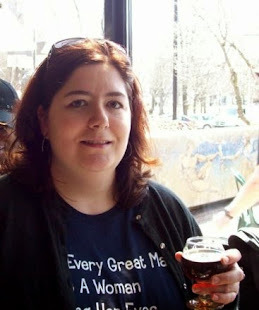 Barley's Angels is " a growing collection of individual chapters around the world that work with craft beer focused breweries, brewpubs, restaurants, alehouses and other public beer establishments to advance the female consumer craft beer enthusiast, resulting in increased patronage and revenue from women, while encouraging education and interest in beer among this often under-recognized demographic group." Here in Ottawa, our chapter has been in existence since early March and has already grown to almost 250 members throughout our various social media accounts. We've held 5 official Barley's Angels Ottawa Events so far which have been very successful. 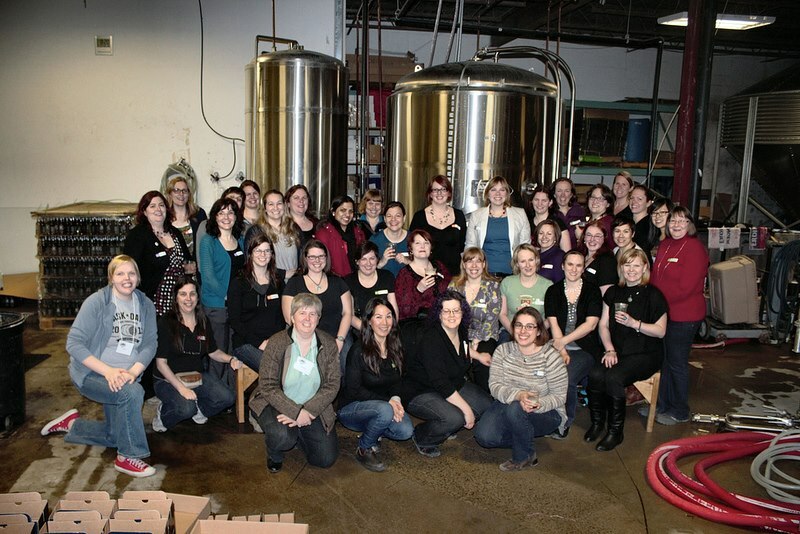 Our first event, held at Kichesippi Beer Co. had over 40 Barley's Angels learning about beer via an informal meet-up while enjoying delicious pot luck goods and playing games. Our next 3 sold out events brought us to Cassel Brewery in Casselman, just outside of Ottawa, for the launch of their Maple Rye Ale as well as a sampling of their beer selection, Bières du Monde across the river for a sampling of a selection of Quebec beer and finally to the Arrow and Loon for a great meet-up (and great raffle prizes). 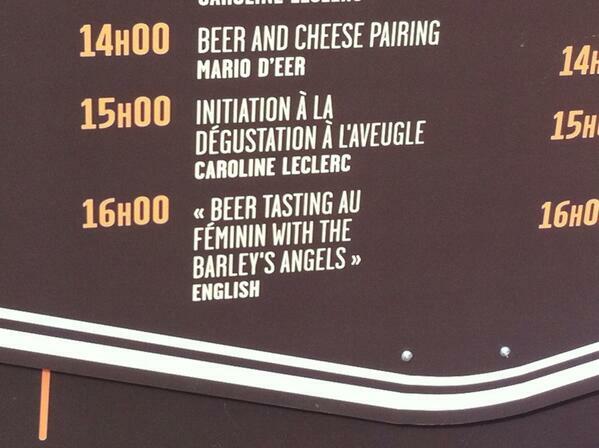 We were then fortunate enough to be invited to host a beer tasting at Festibière de Gatineau as this year their theme was "Women and Beer". Although we had only a small group attend, it was a great experience for us. Our next event will have the Barley's Angels " Hop into Summer". We've invited a guest speaker to speak about hops and help us to learn more about how the play a role in the taste of your beer. 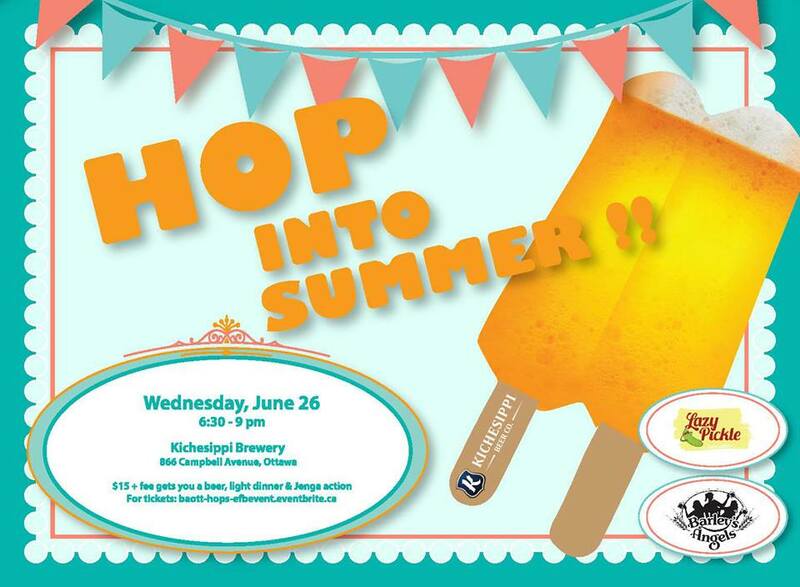 It'll be a great way to kick off our summer with some great beer, good food and maybe even some Jenga action!! And there will be many more great activities on the horizon!! It's been a lot of fun getting to know other women who love beer and having a "sisterhood" present when attending beer related events. We wear our pins proudly to support Barley's Angels - and to show that contrary to what the stereotype says we don't all love fruity or "girly"beer (gasp!) or cocktails with umbrellas. We all have different preferences but share one thing in common - our love of great craft beer!!! Follow us on Twitter or become a member by joining us on Facebook or via our Mailing List.